5-year old 16hh registered Oldenburg gelding by Banderas. Safe with a super jump and brain. Has the chrome and jump to stand out in the ring. 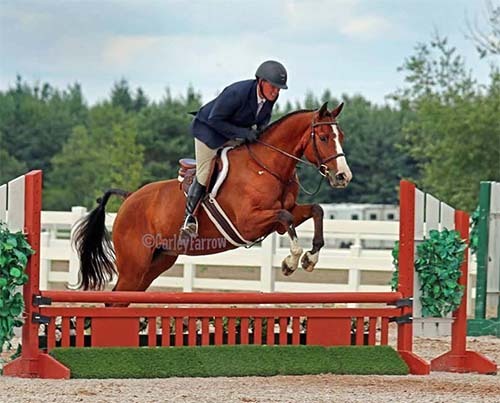 Eligible Baby Green and will make a top junior/ amateur hunter. Don't miss out on this great young guy.